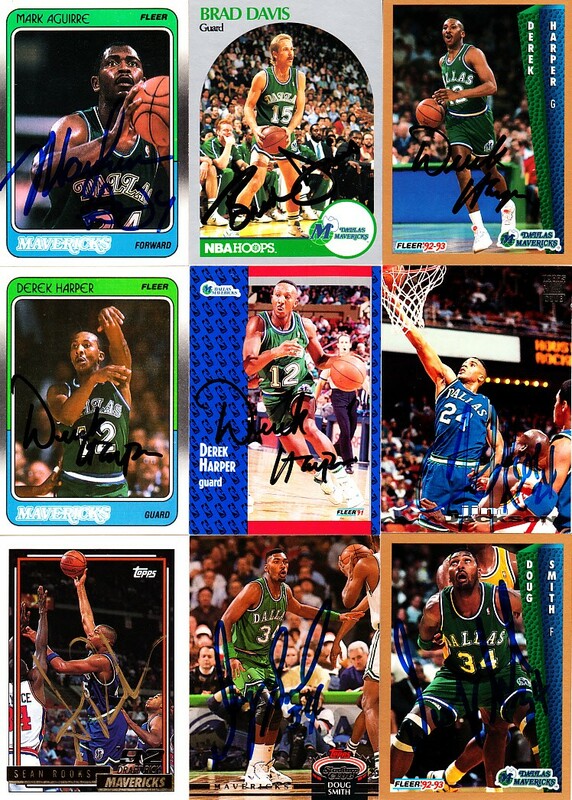 Lot of 9 Dallas Mavericks autographed basketball cards: Mark Aguirre, Brad Davis, Derek Harper (3 different), Jim Jackson, Sean Rooks and Doug Smith (2 different). Obtained in person. With certificate of authenticity from AutographsForSale.com. ONLY ONE LOT AVAILABLE FOR SALE.